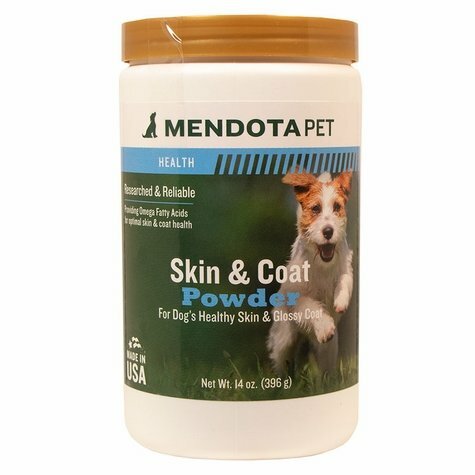 Skin and Coat by Mendota Pet. $19.99. They are very good, and my GSP's love them. "Our Chocolate Lab's coat has never been better!" Our Chocolate Lab's coat has never been better! She is shiny and dark and most important, no more itchy, flaky sking. "Skin and coat noticeably better in one week." Skin and coat noticeably better in one week. "We have had our oldest lab on the product for just over 3 weeks and have seen her shedding cut in half." We have had our oldest lab on the product for just over 3 weeks and have seen her shedding cut in half. Our black lab puppies will be starting this product soon. Seems to work well... dogs like it... their coats look good. Have used this product for 7 years. The original with label pictured here might have had a little more 'punch' but product is still good. Many people comment on what a great coat my hound has. I have been giving it to both my springers. After a month I have noticed a softer coat and less shedding. I have ordered two more containers to continue feeding. Tricksie's coat has never looked better! Excellent product. Have used it for 11 years. Have not used it long enough to see if it works. My lab needs a skin supplement, and if he starts scratching I will know if it's not working. He has only been taking this for two weeks, there has been a noticeable improvement in the dry skin on his back, hopefully it will get even better. He is not itching as much. I would recommend this product. Rated 5 stars from 2 user ratings. 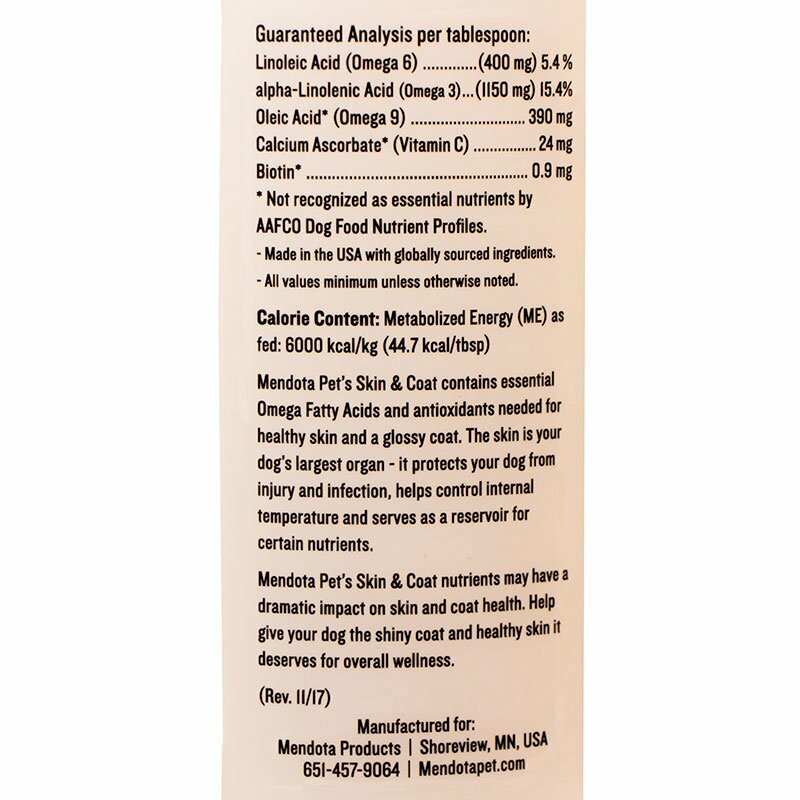 Mendota Pet SKIN & COAT contains essential Omega Fatty Acids and antioxidants needed for healthy skin and glossy coat. The skin is your dog's largest organ. It acts to protect your dog from injury and infection, helps control internal temperature, and serves as a reservoir for certain nutrients. Mendota Pet SKIN & COAT nutrients can have a dramatic impact on skin and coat health, shedding and also assist in reducing excessive scratching. Give your dog the glossy coat and healthy skin it deserves for overall wellness. 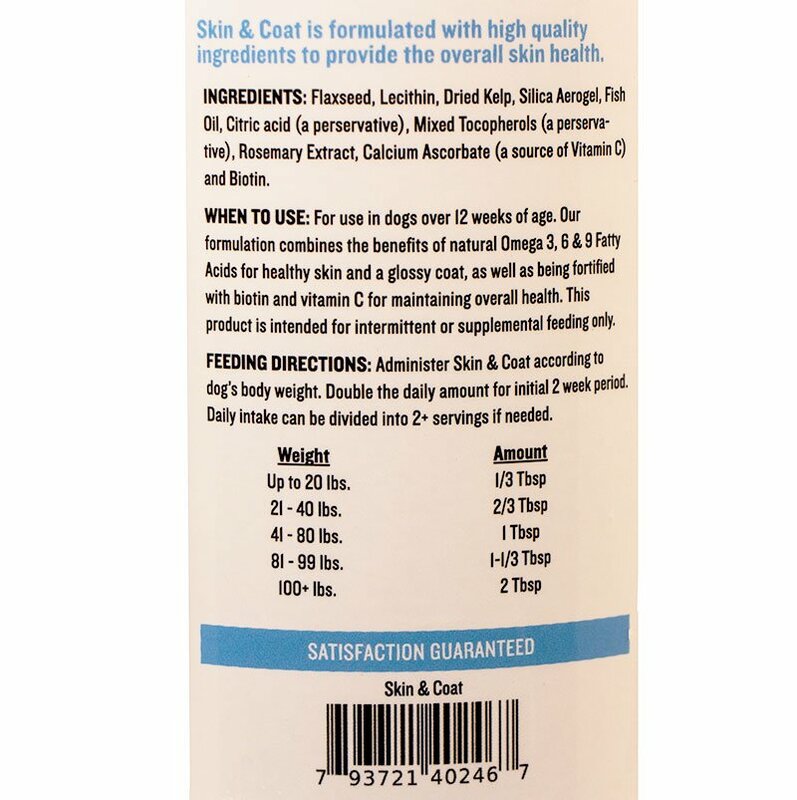 Formulated with natural Omega 3 - 6 - 9 fatty acids for healthy skin and a glossy coat, as well as being fortified with Biotin and vitamins for maintaining overall health. Give to your pet according to body weight.Double the daily amount for the first two weeks.The daily intake can be divided into two or more servings if desired. When it comes to healthy skin, coat and heart, Omega 3, 6 and 9 are excellent sources. The Journal of Veterinary Internal Medicine found that dogs with heart failure had lower levels of Omega Fatty Acids than their healthy counterparts. The fatty acids found in fish oil are necessary for the normal function of various systems of the human, dog's and cat's body. Our pets can suffer from some of the same poor health conditions as humans. It's one thing to give a dog food that will allow them to grow and stay alive. However, like with humans, it's another thing to find the perfect balance to improve immune function, cognition, behavior and prevent cancer. Fish oil and vegetable oil for dogs has been shown to reduce the itchiness, redness, swelling and hair loss associated with those dry, raw, hairless patches that bother our pets. In some animals, fatty acids alone can decrease pruritus (itching) or inflammation to an acceptable level. The choice of a fatty acid supplement needs to be based on the specific condition you are trying to treat. For dry skin, dull coat hair, and seborrhea, supplements high in linoleic acid are recommended. For allergies and inflammations, supplements high in EPA, DHA are most effective. Deficiencies in fatty acids occur for many reasons but most likely from the overcooking and overheating of commercial dog food that destroys them. If properly prepared, improper storage or less than optimal amounts of antioxidants in dry food may result in rancidity and a subsequent deficiency in fatty acids. Fat is necessary for good dog nutrition and is important for energy, skin and coat, kidney health, heart and to keep reduce inflammation in the joints. A daily supplement of fish oil and vegetable oil is a must for any dog of any age with skin or coat problems caused by allergies. Giving fish oil to a dog fortifies them with antioxidants and traces of vitamins that occur naturally in salmon. Actual concentration of EPA in omega-3 is what's most important. Omega-3 fatty acids are extremely important for your dog's health -- probably the most important of the three. One major reason for this is because they tend to suppress inflammation, which is the cause of so many of the degenerative diseases that plague your dog. Your dogï¿½s body cannot make the "parent" molecule for omega-3 fatty acids, alpha linoleic acid on its own. Omega-3 is considered an "essential" fatty acid. What complicates the matter is that these omega-3's are the ones most likely lacking in your dogï¿½s dry food diet. 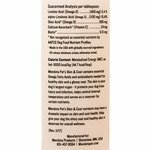 Omega-6 fatty acids are also considered essential fatty acids, which means that they are essential to your dog's health but cannot be made in its body. For this reason, they must be obtained from food. As in the family of omega-3's, there's one member of the omega-6 family that plays the role of the parent (essential) fatty acid: linoleic acid (LA). Excellent sources of linoleic acid can be found in items such as fish oil and vegetable oil. Omega-9's are the most abundant fatty acids of all in nature. Omega-9's are found in animal fats and vegetable oils and they are needed in your dogs diet. They are not considered essential because your dog's body can make omega-9's from unsaturated fat in its body.